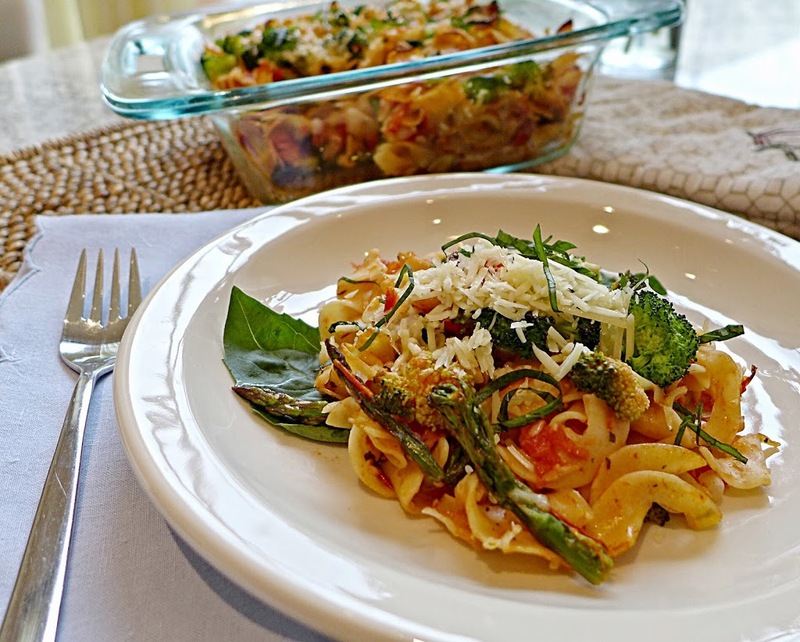 Baked Pasta Primavera with noodles, tomato sauce and vegetables is one dish heaven. Egg noodles, homemade tomato sauce and fresh vegetables star in this easy to assemble one-dish dinner. Great on it’s own or as a delicious side to any meat, fish or fowl. Start with your favorite noodles. 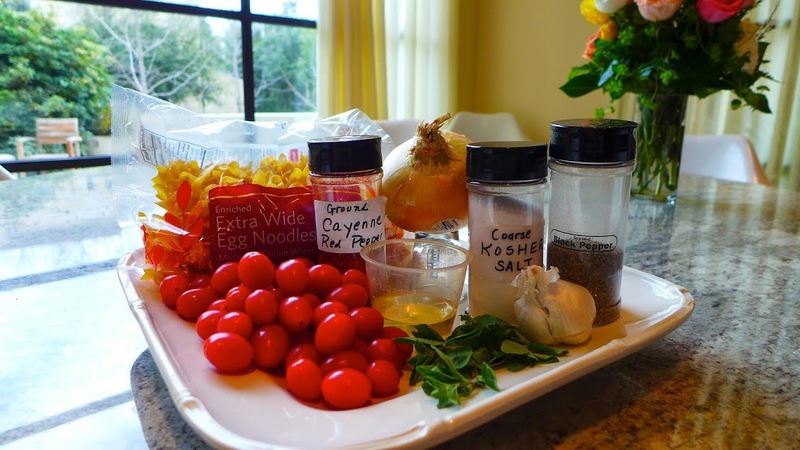 I use extra wide egg noodles, but ANY kind of noodles or your favorite grain will do. Be sure to cook your noodles “al dente” (firm), as they bake in the oven for another thirty minutes. While the noodles boil, chop your tomatoes to make the sauce. If chopping tomatoes is too much work, start with three pounds of chopped canned tomatoes. 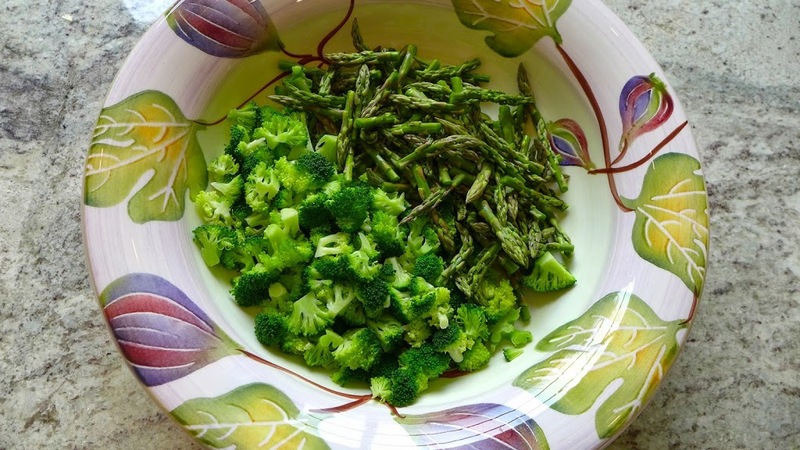 In celebration of spring, add your favorite green vegetables, like broccoli florets and tender asparagus. Mix in shaved parmesan, bake for thirty minutes and dinner is ready. Pasta and vegetables make a satisfying combination and the variations are limitless. 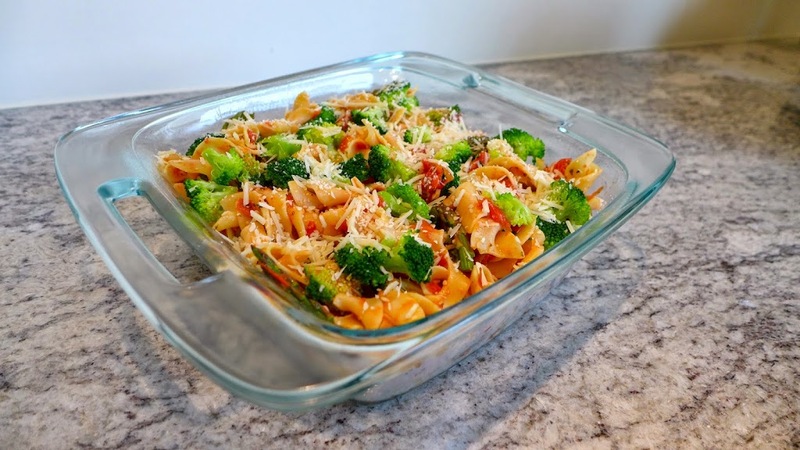 Bake Pasta Primavera tonight and stash the second one in the freezer for next week! Preheat oven to 350 F and arrange baking rack in the center of oven. Prep pans and noodles: Spray 2 8 x 8 or 1 9 x12 casserole dish with cooking spray. Boil noodles until firm according to package directions. Drain, toss with one tablespoon olive oil and set aside. 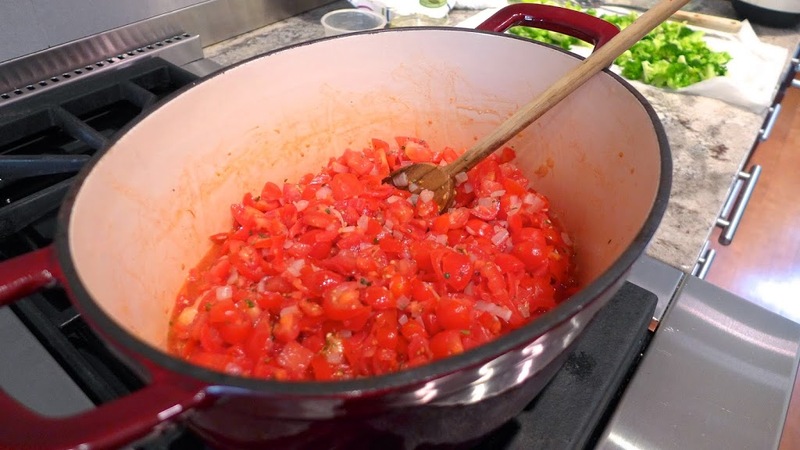 Make tomato sauce: In a large coated skillet or pot, heat 3 tablespoons olive oil over medium heat. Add onion and garlic and cook until onion turns clear and starts to brown, about ten minutes. 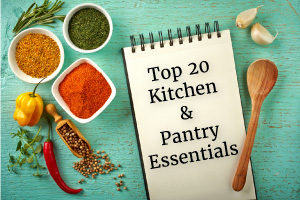 Mix in tomatoes, oregano, salt, pepper, cayenne and bay leaf. Simmer uncovered until tomatoes begin to lose their skins and sauce thickens, about 15 minutes. Remove bay leaf. Add 1-2 T chopped basil to finished sauce and reserve extra basil for garnish. Season to taste and toss four cups of sauce with pasta. Reserve remaining tomato sauce for another use. Prep vegetables: Blanch broccoli florets in salted boiling water for 1-2 minutes, then plunge broccoli into ice water to stop cooking. Remove broccoli from ice water and place on paper towel to dry. Add broccoli, uncooked asparagus tips and 3/4 cup parmesan to pasta and sauce. Stir to combine and pour into baking dish or dishes. Top pasta with remaining 1/4 cup parmesan. Freeze second dish for later or bake both now. Bake: Spray the underside of aluminum foil with cooking spray to prevent cheese from sticking and cover pasta dish/dishes. Bake thirty minutes, then remove foil and broil for three minutes to brown cheese. Remove from oven and serve with additional parmesan and basil, if desired.